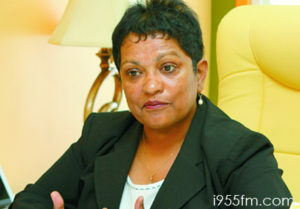 PORT OF SPAIN, Trinidad — Former senator, senior counsel Dana Seetahal, was assassinated in Woodbrook, shortly after midnight on Saturday. According to a police report, Seetahal was driving her Volkswagen SUV along Hamilton-Holder Street, Woodbrook, when upon reaching the vicinity of the Woodbrook Youth Facility, two vehicles pulled alongside. One of the vehicles then drove ahead a short distance and pulled across the road, blocking it. The other vehicle pulled alongside and its occupants opened fire on the SUV. The two vehicles then sped off. Police believe it was a “hit” arising out of Seetahal’s involvement in the Vindra Naipaul-Coolman case. Investigations are continuing.